Given the number of mmj dispensaries that exist in Los Angeles today, it is essential for patients to pick the best one. GGR is committed to enhancing the quality of its patients' lives by supplying the superior quality cannabinoid products in addition to offering excellent services. Our company not only helps patients find their medicine but also contributes to the whole LA community and struggles to prove the positive healing effects of medical cannabis. 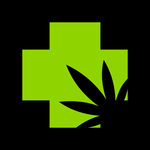 Our dispensary aspires to set the new standard of excellence, emphasizing health and wellness. The state of Los Angeles has legalized the use of cannabis for medical use meaning that LA residents may now take full advantage of marijuana medicines. Living with debilitating diseases doesn't automatically mean living in pain. Once you receive your doctor's recommendation, come and see what GGR can do for you!